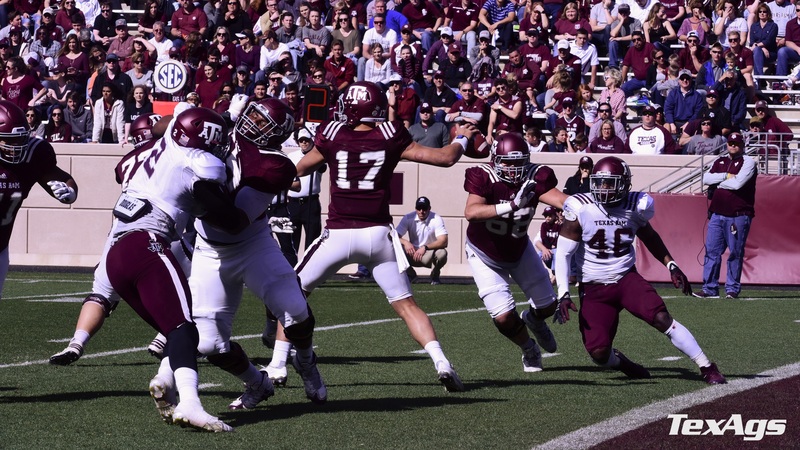 Texas A&M kicked off the Jimbo Fisher era on Saturday with their annual spring game. The 12th Man has been chomping at the bit for some Aggie football since the well publicized hiring of Jimbo Fisher in November. Admission for the spring game was free for the first time in program history, resulting in a strong showing from the 12th Man. s. Nick Starkel started for the Aggies last season, but was replaced by Kellen Mond after breaking his ankle in the season opener. Jimbo Fisher has not given any hints on who will be named the starting quarterback for the upcoming season. The real story from Texas A&M’s spring game came at halftime, when several former Aggie football players took the field for a flag football game, including 2012 Heisman winner Johnny Manziel at all-time quarterback. The 12th Man erupted at the end of the first half when Johnny caught a short field goal attempt and attempted to return it. Needless to say the 12th Man still love them some Johnny Football. Interesting read. Keep them coming.